Chikhura and Beitar Jerusalem meet at Mikheil Meskhis sakhelobis Stadioni, in a match for this stage of the UEFA Europa League (1st Qualifying Round). These two teams have never met before, so this will be the first head‑to‑head between them. The home advantage may play an important role in this match , since Chikhura presents significant differences between home and away results. The home team makes its debut in this edition of the UEFA Europa League with the intention of getting a positive result, using the home advantage in their favour. This is a team that usually gets better results in away matches than at home, since in the last 20 matches they register 5 wins, 5 draws and 3 losses in away matches, with 14 goals scored and 13 conceded; against 1 win, 2 draws and 4 losses at their stadium, with 8 goals scored and 11 conceded. In their last match, for the UEFA Europa League, they got an away tie against Rheindorf Altach by (1‑1). 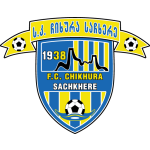 The Chikhura Sachkhere team arrives at this stage of the Europa League after having won the Georgian Cup. It is important to remember that this team also played this round last season, however, was eliminated by Altach. In this first leg at home coach Soso Pruidze should play in the usual 4-4-2 privileging possession and organized bouts: Giorgi Bukhaidze and Markozashvili will be the most offensive references of the Georgian team. It seems that the coach can count on all the players. Confirmed Lineup: D. Hamzić, B. Mirtskhulava, D. Megrelishvili, R. Chiteishvili, L. Chikvaidze, D. Maisashvili, I. Bughridze, D. Dobrovolski, I. Lekvtadze, T. Markozashvili, G. Gabedava. The team plays its first match in this edition of the UEFA Europa League with the intention of getting a positive away result. This is a team that usually maintains its competitive level in home and away matches, since in the last 30 matches they register 6 wins, 5 draws and 4 losses in away matches, with 23 goals scored and 21 conceded; against 10 wins, 3 draws and 2 losses at their stadium, with 30 goals scored and 18 conceded. In their last match, for the Club Friendlies, they got an away win against Mezőkövesd‑Zsóry by (0‑2). In the last 10 away matches Beitar Jerusalem has won 4, tied 2 and lost 4. Defensive consistency hasn’t been their best feature, as they have conceded goals in 7 of the last 10 matches, but their offense has scored consistently, as they have scored at least one goal in each of the last 10 matches. In their away matches there is a tendency for goals, since 25 of the last 28 matches have ended with Over 1,5 goals. 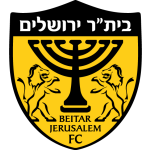 The Beitar Jerusalem team arrives in this first phase of the Europa League after finishing in the 2nd position of the Israeli championship. We remember that the Israelites reached the second phase of the Europa League the previous season, however, was eliminated by Botev of Bulgaria. In this first game it is expected that coach Benny Ben Zaken play in 4-4-2 privileging the attacking football from the first minute. Striker Jakub Sylvestr is the most dangerous player in the away team, who is very strong and in the finalization. For this game the coach can count on his usual players. Confirmed Lineup: I. Nitzan, T. Kahila, M. Peleg, Carlos Cuéllar, O. Zahavi, D. Keltjens, O. Kriaf, E. Sabo, Y. Berihon, I. Vered, J. Sylvestr. The bet we recommend for this game is the '' both teams to score ''. Given the way Chikhura approaches the defensive organization, it is expected that the team concedes some goal. On the other hand, the offensive quality and motivation of the Israeli players will make the team have great chances to score. Having said that, we believe in a very open game with clear goal opportunities, making betting on goals for both sides to be of great value.